Earthworms are not a direct pest of turf grass but they are considered a problem on many sports fields, disrupting playability and aesthetics due to the castings they deposit on the playing surface. Also, a number of slug species are well-known foliage destroying pests of a number of agriculturally important crop species. Perennial ryegrass and tall fescue cultivars associated with selected EpichloÃ« endophytes, originally developed for bird management at airports, were assessed to determine their deterrent properties towards worms and slugs. Plots sown with endophyte-free ryegrass had significantly higher numbers of worms and slugs than plots containing the same grass cultivar infected with the endophyte strain AR95. Also, plots sown with endophyte-free tall fescue had significantly higher numbers of slugs (but not worms) than plots containing the same grass cultivar infected with the endophyte strain AR601. 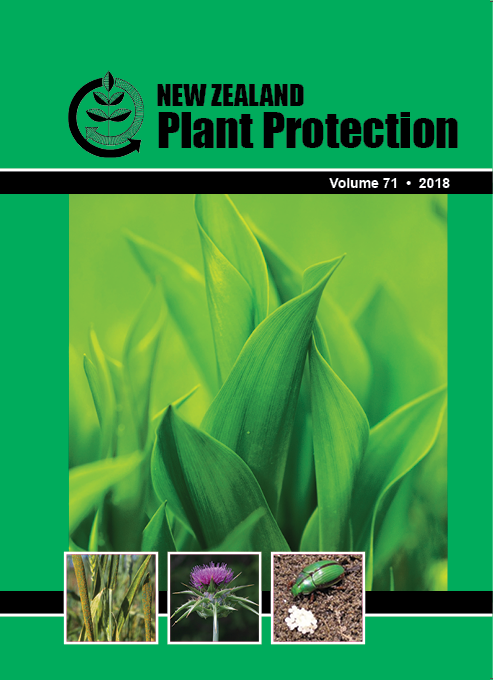 Although more research is required on the exact mechanism of action, these results suggest selected novel endophyte-infected grass associations, such as those including the endophyte AR95, may substantially reduce populations of worms and slugs in areas where these grasses are sown.